Sample received. All opinions are my own. 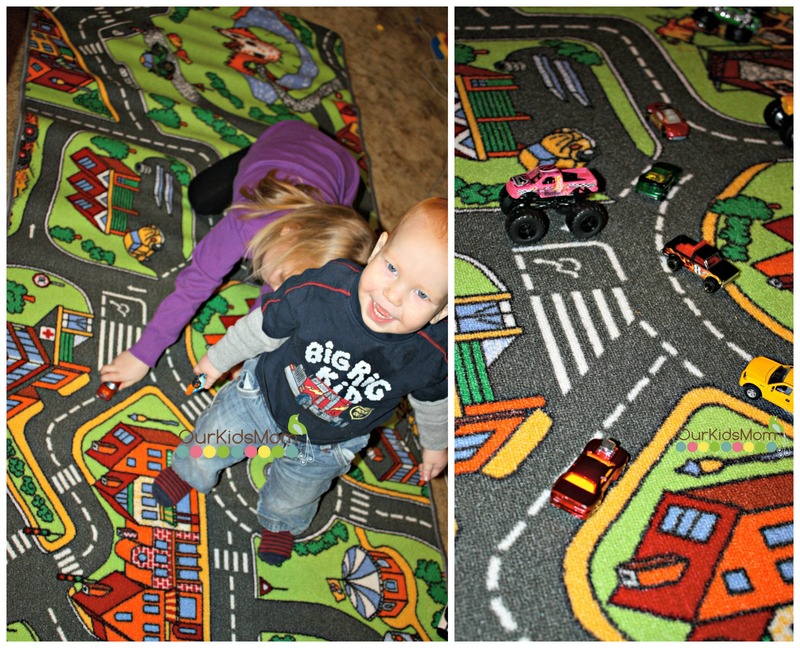 My kids love their cars and when it comes to car mats they are right in there on their tummies playing so well together, car mats give my kids hours of non stop entertainment. 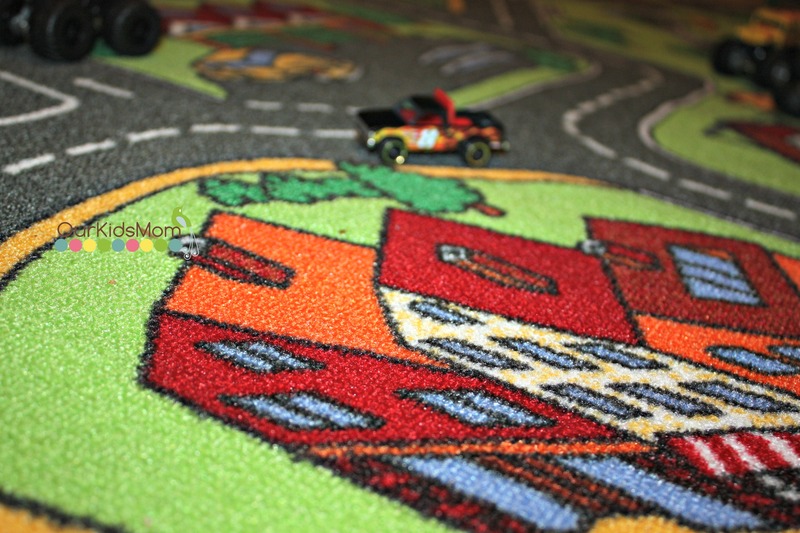 The My Neighborhood Learning Carpet is a great size for them (36″x79″) to explore their creative side. 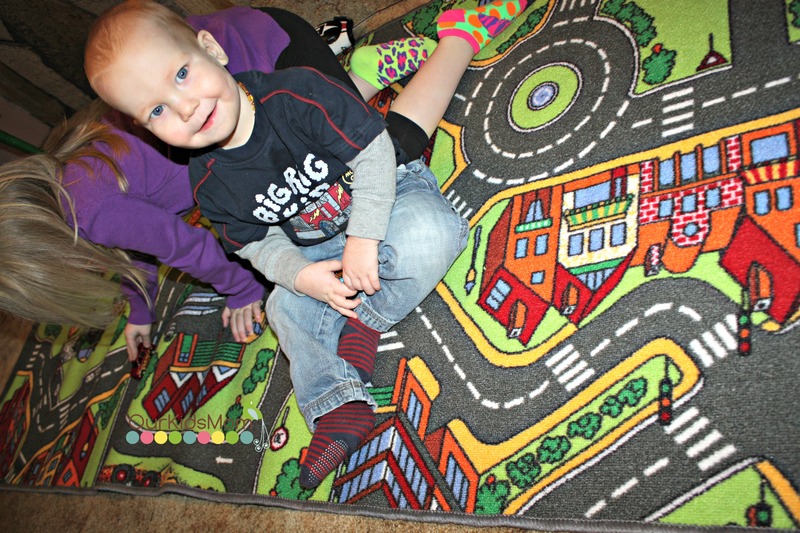 I love the size of this mat as it’s not too big that you need a huge space to put it, but its still big enough that more then one child can play at it together. Pish Posh offers a unlimited warranty with this carpet. It’s soil and stain resistant as well as washable. With kids… anything that is washable is a huge plus. On the back you will find a durable latex gel skid-proof backing. A great feature on this carpet is it’s good for both indoor AND outdoor. When not in use simply roll up your mat and store it away, or leave it out on the floor for use at anytime. The fun detail on this mat lets you travel from a remote castle, through a construction site, past a auto garage, and over to the hospital… plus many more stops along the way. Head over to www.pishposhbaby.com and check out the ever so many learning mats they have to offer. From city, farm, wild west, hopscotch, ABCs, snakes and ladders, dream house, to world map mats, there is something for every child on your Christmas list.